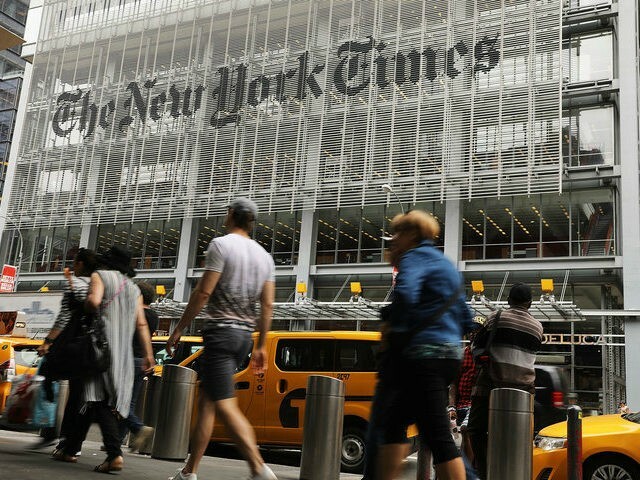 8 Aug 2017 Washington, D.C.
Emails from a reporter for the New York Times to government employees obtained exclusively by Breitbart News demonstrate that the newspaper’s employees are not just on the receiving end of leaks, but are actually soliciting government employees to become leakers. What’s more, the emails demonstrate the Times colluded with the president of government union to encourage and solicit these leaks—something that may become highly problematic for both institutions. I’ve heard a lot of second-hand rumors, but in order to report these incidents, I’d need to have first-hand or eyewitness accounts. I’m looking for examples of things like, information being communicated only verbally when it would historically have been put in writing, people being told not to bring phones, laptops or even take notes in meetings where they would in the past typically have done so, eyewitness accounts of things like the administrator or top political appointees refusing to use official email, phones or computers, or any other specific, first-hand examples of practices that appear to demonstrate unprecedented secrecy or transparency. The revelation of these emails comes as President Donald Trump and Attorney General Jeff Sessions crack down on leakers. It also comes as EPA administrator Scott Pruitt, the former attorney general of Oklahoma, has emerged as one of the most successful cabinet-level officials in the Trump administration, and Trump’s political enemies throughout the left and media aim at targeting Pruitt. The Times has come under significant scrutiny for a piece in late July by Lisa Friedman, one of Davenport’s colleagues, for bashing Pruitt for traveling home regularly to Oklahoma. The findings from the Environmental Integrity Project, a nonprofit group founded by former E.P.A. officials, are drawn from Mr. Pruitt’s calendar and the travel expenses he has submitted for reimbursement. Obtained under the Freedom of Information Act, the documents show Mr. Pruitt spent 43 out of 92 days from March through May in Oklahoma or traveling to or from the state. In an editorial after the questionable Times piece on Pruitt, the Tulsa World newspaper in Oklahoma mocked the Gray Lady for making a mountain of a mole hill. A Times spokeswoman, Danielle Rhoades-Ha, told Breitbart News there is nothing abnormal about these emails. “The email demonstrates the process of reporting and gathering facts,” Rhoades-Ha said in an email early Tuesday when seeking comment. O’Grady, the union official with whom Davenport was colluding per these emails to solicit government leakers, has not responded to a request for comment. Davenport continues in her written plea to O’Grady in the email by noting that if he successfully delivers her the government leakers she is soliciting, she will protect their identities. We’re VERY sensitive to the need to protect career folks who speak to us, and we DO NOT want to endanger anyone’s employment. But, in order to ensure that our reporting is based on facts rather than rumors, we do need to feel sure that the examples we give are based on first-hand or eyewitness experiences rather than second and third-hand rumors. Davenport then provides her contact information and encourages people to text, call, email, or contact her on the encrypted phone apps Signal or WhatsApp. She provides both her personal email address and her Times email address. Breitbart News has redacted that information from the emails published herein, as well as all personal contact information in the emails. She then continues her plea for leaks and explains the nuts and bolts of how she would go about consolidating leaks into becoming key revelations in a New York Times article down the road. Davenport ends her note by telling O’Grady to “feel free to send this note around to folks who might be willing to chat,” and then includes the links to the four aforementioned Times pieces built on leaks she solicited from inside the EPA. O’Grady then forwarded the email from Davenport to a large list of EPA employees. With Davenport’s full message, O’Grady added a note of his own for EPA officials he was encouraging to leak to the New York Times. O’Grady wrapped up his email to EPA employees by encouraging them to reach out to Davenport. “Please feel free to contact Coral directly,” he wrote. Ironically, the list of email addresses to which O’Grady forwarded Davenport’s message included a number of personal email addresses of EPA employees—particularly rich since Davenport was seeking evidence of Trump administration EPA politically appointed officials mishandling government email protocol. Again, Breitbart News has redacted, in the images of the emails obtained, personal contact information, including the email addresses in the list of names to which O’Grady forwarded Davenport’s email. The email chain obtained by Breitbart News chops off the original date and time that Davenport sent her email to O’Grady. But it does include the time and date that O’Grady forwarded the email to EPA career officials. The email O’Grady sent to a number of EPA officials was forwarded on Thursday, August 3, at 2:33 p.m. The government employees to whom O’Grady forwarded this email—whose email addresses Breitbart News has redacted from this email chain published via PDFs here—include: Antony Tseng, Bethany Dreyfus, Britta Copt, Clovis Steib, Dennis Miller, Priscilla Oliver, Gary Morton, Lucretia Myers, Mark Coryell, Michael Mikulka, Natasha Greaves, Nate James, Shane Nelson, Silvia Saracco, Steve Calder, Thelma Estrada, Denise Morrison, Jeanne Schulze, Keith Fusinski, Russell Wiener, Sarah Perham, Steve Hopkins, Amer Al-Mudallal, Brent Maier, Destinee Cooper, Diane Lynne, Stephanie Doolan, Leah Oliver, Lesley Mills, Mark Sims, William McBride, Michael Ottlinger, Patrick Chan, and Ann Pitchford. Approximately half of those—including O’Grady himself—were on personal email addresses, and many of them were fellow union officials. Some of them were on official EPA email addresses.